We believe in educating the whole child by creating environments where children can learn through exploration, play, and real world experiences. We support each child's growth and development pace by utilizing a curriculum that is socially, intellectually, and physically appropriate for each age group. Our curriculum prepares preschool children to be successful in Kindergarten and beyond through instruction that consists of character building, themed-based learning, early literacy, foundational math, exploratory science, high expectations, real life learning opportunities, fine motor activities, and gross motor activities. We enrich the learning experience by incorporating Spanish instruction, sign language instruction, music education, technology, art education, and problem solving opportunities to prepare our learners to be successful leaders in the future. We use a unique curriculum tailored to meet the developmental needs of each individual child in each class. Our themed-based curriculum consists of weekly themes, shapes, colors, numbers, vocabulary words, letters, nursery rhymes, and stories. 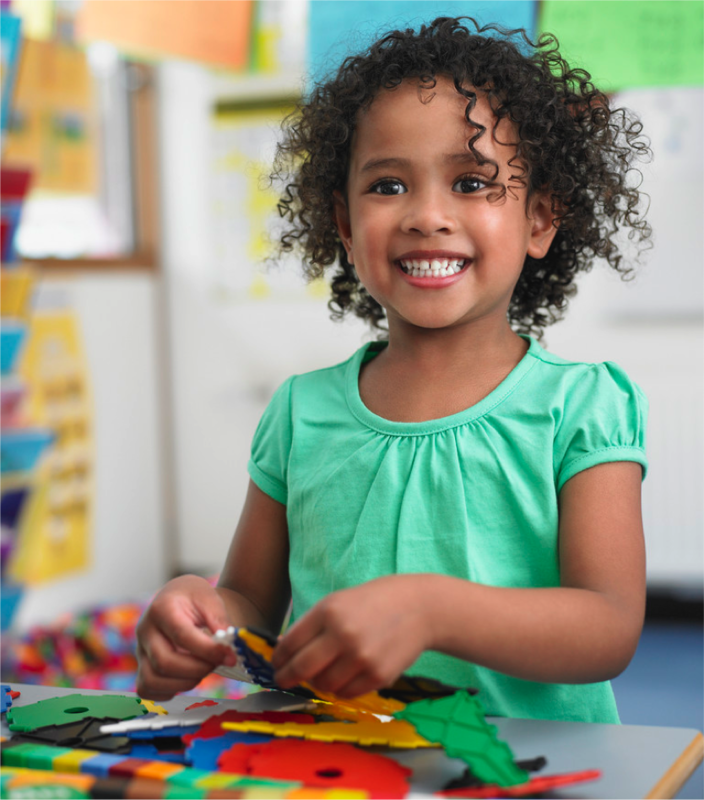 Within our themed-based curriculum, children make meaningful connections as they learn math, reading, and science skills through engaging exploratory activities. Children will also be involved in a character education program to promote positive social interactions with others while developing morals, good manners, and healthy behaviors. 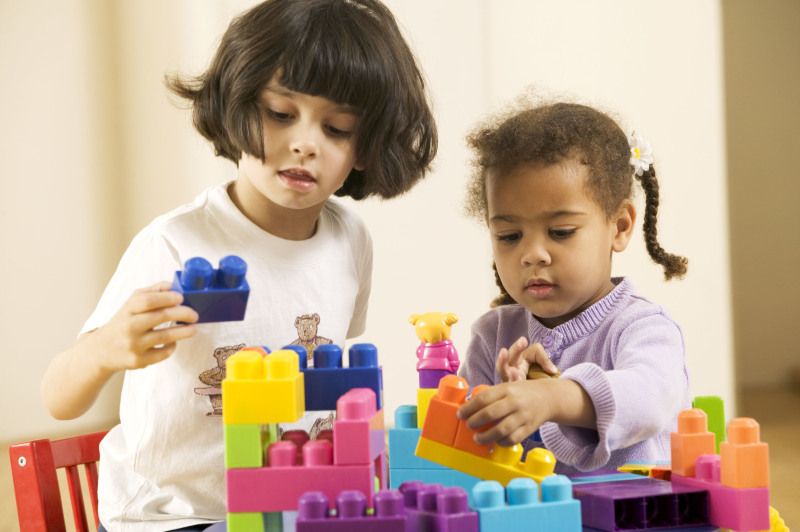 Our 2 year olds focus on learning through play, using manipulatives, sensory exploration, creative expression, building imagination, and developing language. 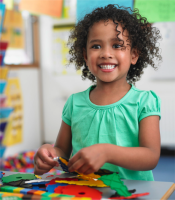 Our learning goals are accomplished through centers that include gross and fine motor activities, puzzle and block building, art, imaginative play, and engaging reading lessons that are child-centered. The 2 year olds also receive sign language instruction to help them build communication skills. Our 3 year olds focus on creative expression, sensory exploration, exploring the world around around them, using manipulatives, building language, developing self-regulation skills, working cooperatively with others, and role playing. Our learning goals are accomplished through centers that include gross and fine motor activities, puzzle and block building, math and science exploration, art, imaginative play, and interactive reading and writing lessons that are child-centered. The 3 year olds also receive Spanish instruction that focuses on numbers, colors, and vocabulary. Our 4 and 5 year olds focus on problem solving, creative and self-expression, using manipulatives, working cooperatively with others, developing self-regulation skills, using language to communicate, understanding the importance of words, writing letters and words, foundational math concepts, and exploring the world around them. Our learning goals are accomplished through centers that include gross and fine motor activities, puzzle and block building, math and science exploration, art, imaginative play, emotional expression, and activities that teach foundational reading and writing skills that are child-centered. The 4 and 5 year olds also receive Spanish instruction that focuses on numbers, colors, vocabulary, greetings, and commonly used phrases. Currently pursuing a doctorate in Higher Education, Jessie is a Texas certified educator who ensures all children have the opportunity to receive a valuable education. She has a Bachelor's in Business and a Master's in Higher Education. Her goal is to provide children with a strong educational foundation so they can be college and career ready. With experience teaching children ages 0 through college age and current certifications valid to educate Pre-Kindergarten through 6th grade all subjects, English, English as a Second Language, and Special Education, Jessie is a well rounded educator who knows what is necessary for children of all ages to be successful adults. Currently pursuing a doctorate in Curriculum & Instruction, Shaunise is a Texas certified educator who strives to give every child a unique education to fit their needs. She has a Bachelor's in Special Education and a Master's in Educational Administration. Her goal is to create unique learning experiences where every child receives an appropriate education so they can thrive and grow. With experience teaching children ages 0-13 years old and current certifications valid to educate Pre-Kindergarten through 6th grade all subjects, English as a Second Language, Gifted and Talented, and Special Education, Shaunise knows how to educate and accommodate the many needs of diverse learners of all backgrounds to ensure a truly individualized education. Charles Pelts has 28 years of law enforcement experience. He has taught the L.E.T.S. (Law Enforcement Teaching Students) program that focuses on child safety, building self-confidence, conflict management, and decision making. He has mentored and coached children of all ages for over 15 years. His top priority is ensuring children are safe and are equipped with the necessary skills to have positive interactions with others.